The subscription portals removes the need for discount codes that reveals to those that pay full price that it's possible to get a discount. The way our portals work actually removes the need for discount codes. 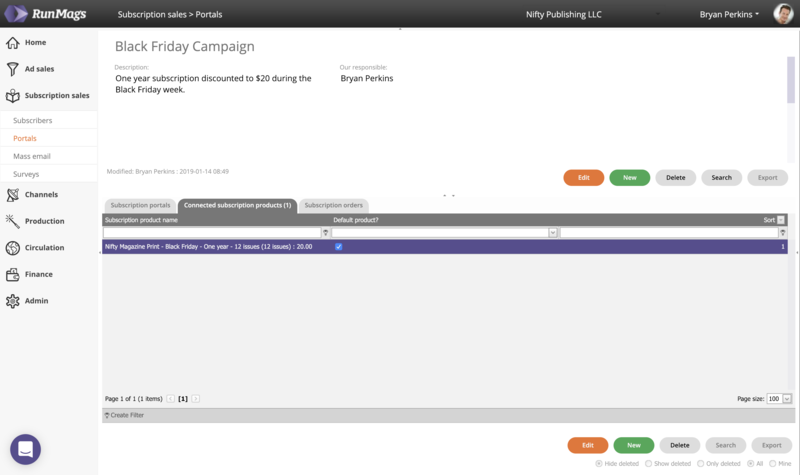 Rather than creating discount codes you create a specific campaign/portal for the discounted offer. Then you connect your discounted subscription products to the portal. This way you don't need a form field on your signup page that reveals to those that pay full price that it's possible to get a discount. 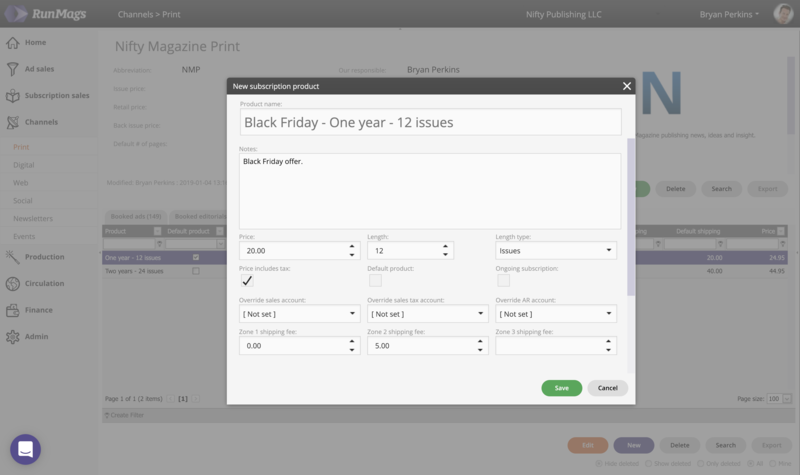 First you need to make sure there's a discounted subscription product in your Print channel. Go to Channels >>> Print and locate the specific magazine you want to create the discounted subscription product for. Go to the Subscription products tab and create the product. Next create the campaign. Go to Subscription sales >>> Portals. Click the upper New button to create a new campaign. Go to the tab for Subscription portals. Click the lower New button to create a new portal. If you need help on how to set up the portal, see this article. Finally, go to the tab for Connected subscription products and click the lower New button. 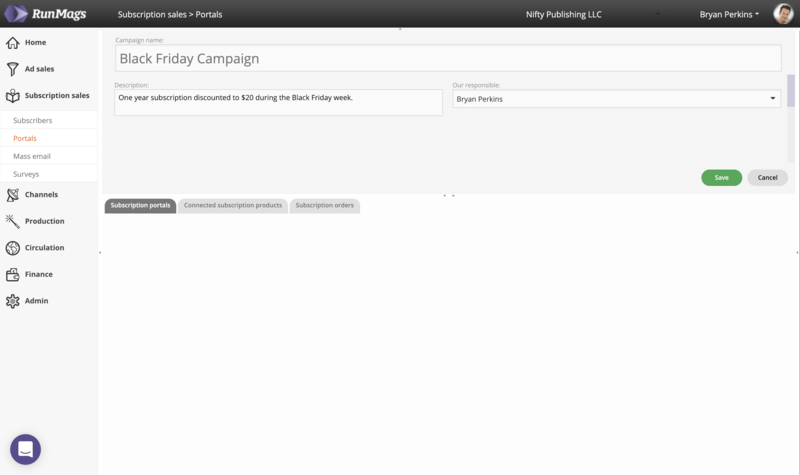 Locate and select the discount product(s) that you want to appear in the campaign.